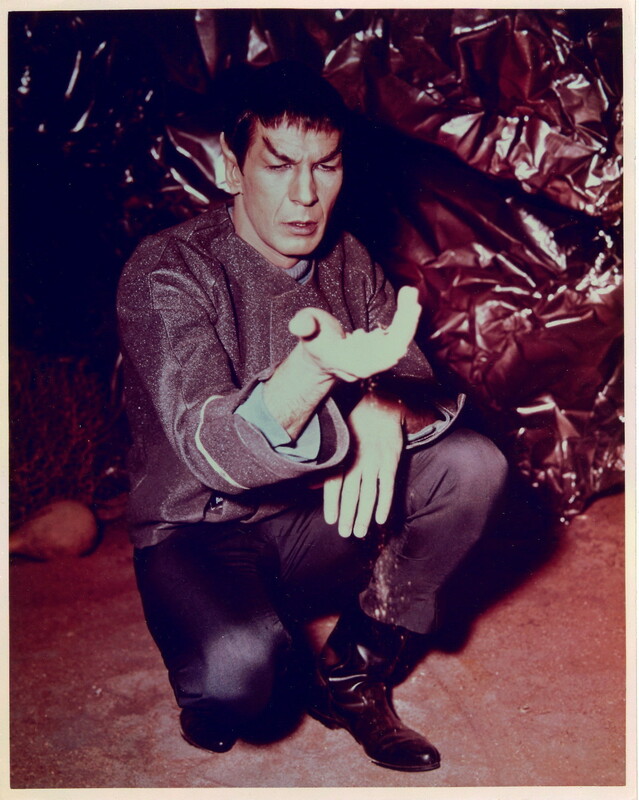 My Weekly Spock 11/19/12 – Early Publicity Stills including a Rare Spock Image! 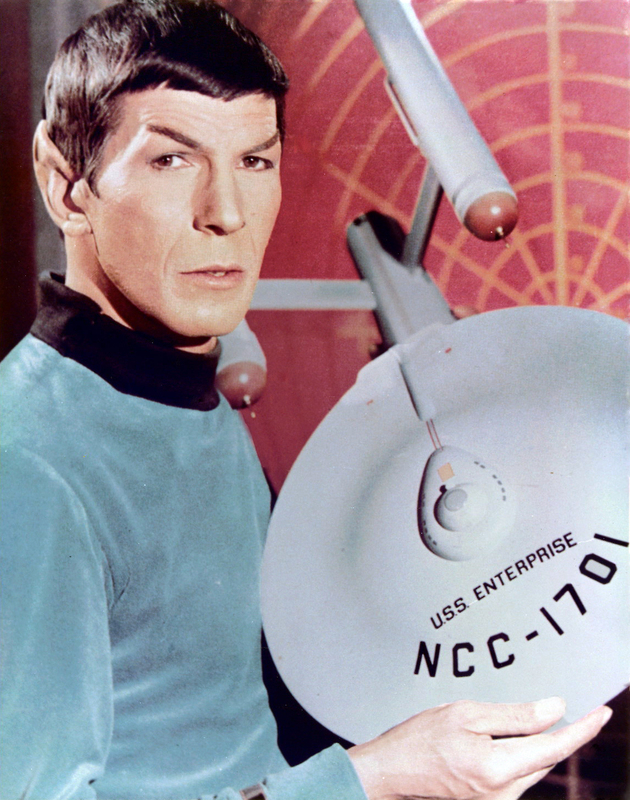 I came across a bunch of old publicity stills from Season 1 –many of these were used during Trek’s syndicated heyday in the 70’s; a fact I found a bit frustrating at the time because (and this will sound so geeky) the uniforms are not the final form used, but the ones used for the two pilots and the first episode filmed; Mudd’s Women. 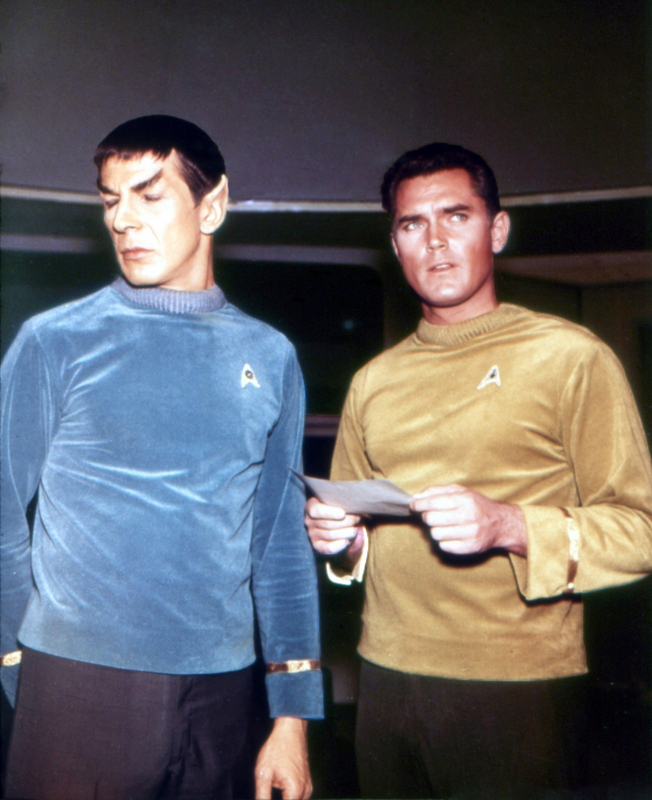 Real Trekkies knew that the sleeker, more streamlined uniform shirts with thinner contrasting collars were the norm on the show, whereas these were a bit chunkier. 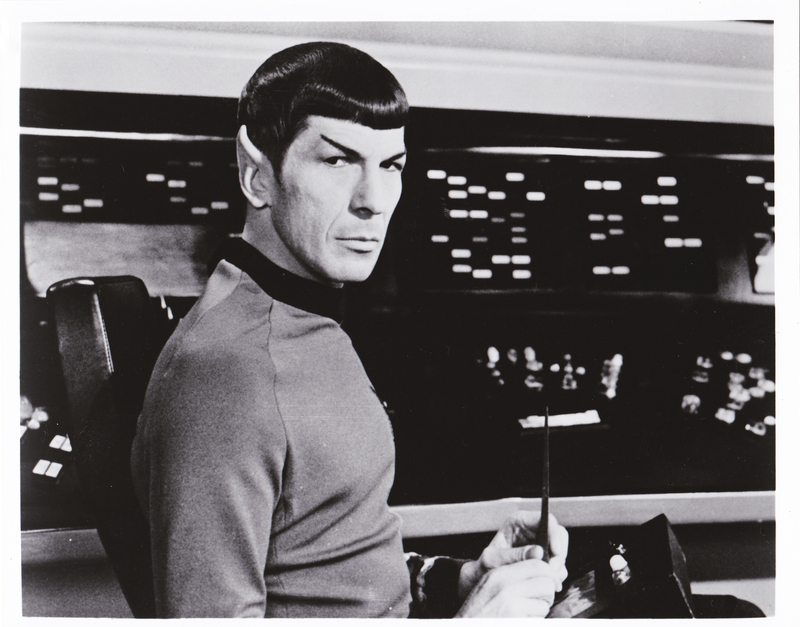 I’ve noticed that the stills favor Nimoy’s right side, but both sides of that angular stone face looked fine to me! The other interesting note here is how prominently Grace Lee Whitney (Yeoman Rand) featured, although she only lasted 13 episodes and her look was radically altered. (Although I must admit, I loved the women’s uniforms with pants; they were much more practical for scaling all all those fiberglass mountains!) Also, I love Spock’s gentle smile in this group shot. 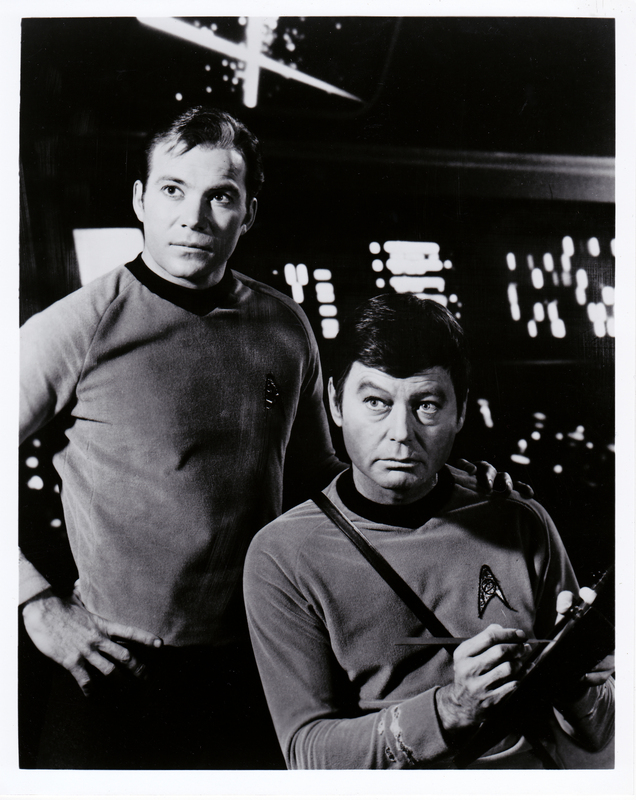 I also have a new publicity photo of Spock as well as one of Kirk and McCoy from eBay that I’ve never seen before! This being Thanksgiving week here in America, it’s truly something to be thankful for! Boy, he looks mad here! 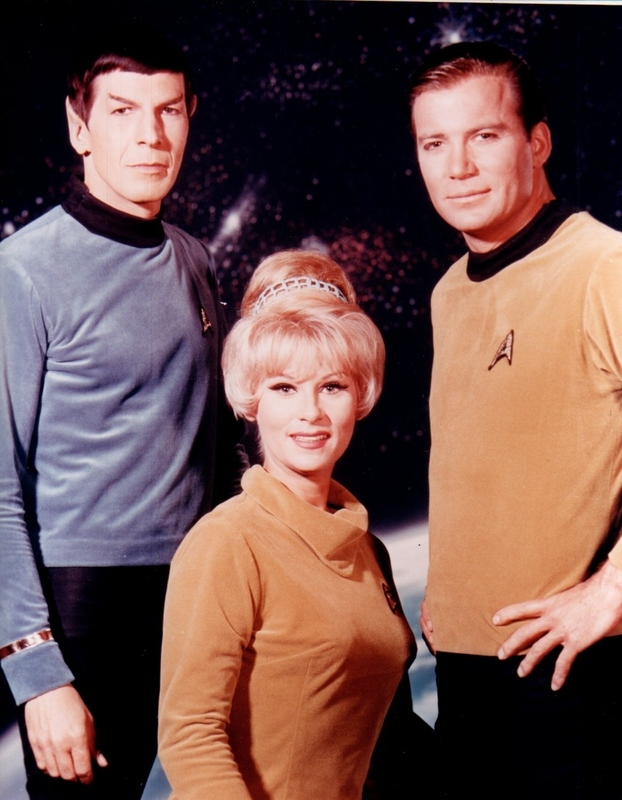 This entry was posted in My Weekly Spock and tagged Grace Lee Whitney, Jeffrey Hunter, Leonard Nimoy, Mark Clark, Mudd's Women, old uniforms, publicity, Star Trek, Star Trek FAQ, The Cage, Where No Man Has Gone Before, Wiilliam Shatner. Bookmark the permalink.